The Marketing Manager from Perth-based Stephen gave a presentation to 20 Primary 3/4 pupils from Carnock Primary School in Carnock, near Dunfermline on the subject of planning and building the new homes within ‘The Beeches’ development, which is just a few minutes’ walk from the school. 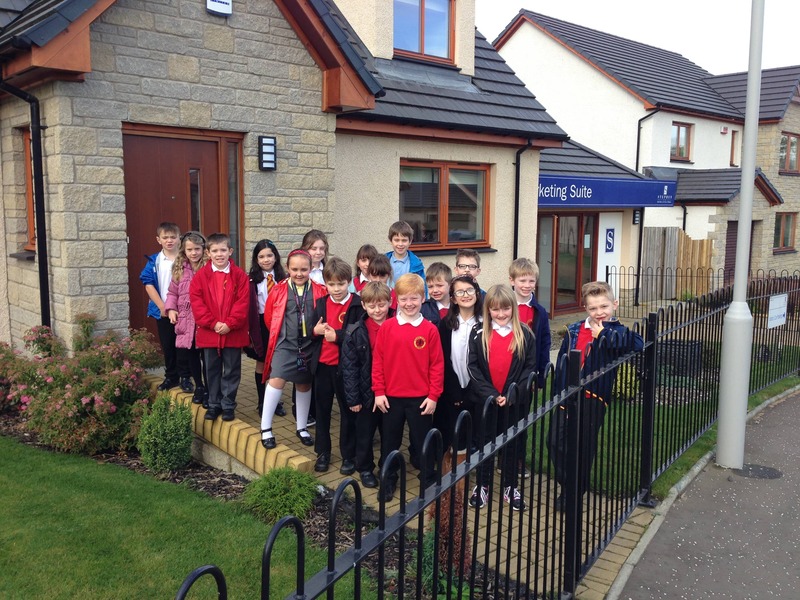 As part of the wider class project, the children also toured the stunning showhome, exploring its layout and design features. They then used this knowledge to create their own 3D homes for their families. The development of 41 homes-in-the-making, on Carneil Road, includes a mix of two, three and four bedroom bungalows, and three, four and five bedroom villas. For more information on ‘The Beeches’, Carnock, by Dunfermline, please visit http://www.stephen.co.uk/.